BRUSSELS — The European Union is largely about money — who gives it, who gets it and why. In the face of a challenge to European democratic values from Poland and Hungary, Brussels is naturally turning to money to get at least some leverage over the popular, populist governments there. The struggle at the heart of the European Union has infused what would normally be a humdrum moment in the life of its bureaucracy — the publishing of its proposed long-term budget on Wednesday — with novel importance. How the European Union disperses its money will be hashed out over months — debated, amended and approved by the leaders of the member states and by the European Parliament, too. But suddenly at stake in the tedium is whether the money that richer states transfer to poorer ones — long seen as a means of democratizing former dictatorships, like Portugal, Spain or Greece — is instead enabling new ones, namely in Poland and Hungary, among the top money-getters in the European Union. That money is no small change. 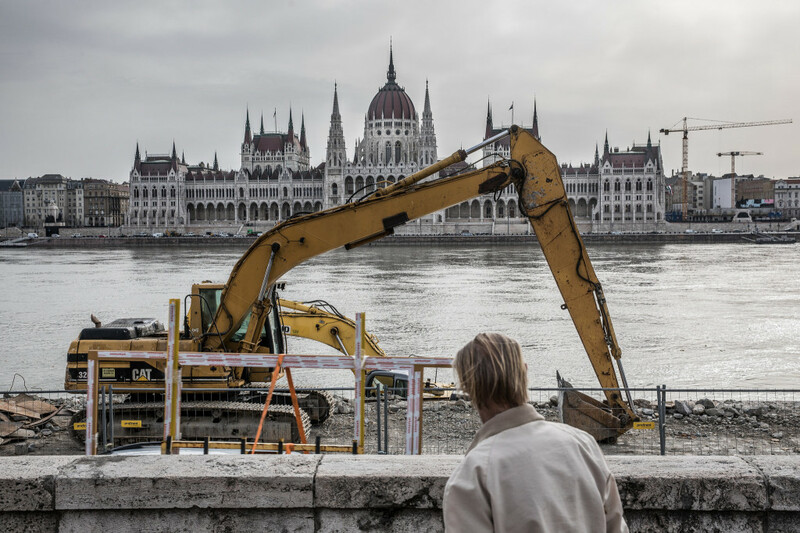 In Poland, European Union money has represented some 61 percent of infrastructure spending; in Hungary, the figure is 55 percent. But both countries have been criticized for increasing state control over the news media and especially the judiciary, which goes to the heart of European commitments to freedom of the press, the rule of law and democratic transparency. The means to influence or punish member states for violations of European principles are very weak, however. Real censure is subject to veto, making it difficult for Brussels to challenge democratically elected leaders, even when their practices in office are suspect. So the European Commission, the bloc’s bureaucracy, is considering tying new aid to the credibility of the judiciary in member states, on the principle that oversight of European Union spending must depend on the rule of law and independent judges. Such a change would attempt to skirt contentious judgments about “values” and instead shift the debate to sound financial management. Importantly, the finance rules work on a form of majority voting, eliminating the veto. Fines would be considered approved unless the European Council, made up of the heads of government, votes to repeal them. And even if those fines and aid reductions are passed, governments that are punished would still be liable to fulfill their budget obligations to fund agricultural and investment subsidies out of their own tax receipts. That all may be too clever to survive the long process of approval. And even if successful, it would not take effect until at least 2021. But it is an effort to hit countries that have flouted European values and norms in the pocketbook. All this is cresting because the European Union is beginning to debate its budget framework for 2021 through 2027, a budget that will have to deal with a significant reduction in funds given Britain’s intention to leave the bloc and stop paying into its budget after a transition period that will end in December 2020. Currently, about 10 percent of the European Union’s budget comes from Britain. Compared with the national budgets of its 28 member states, the European Union budget is small. The last seven-year budget, passed in 2013, amounted to only about one percent of the European Union’s gross national income, about 155 billion euros, or about $186 billion, a year. But about 9 percent of the European Union budget goes to Poland alone. Another 2.5 percent goes to much smaller Hungary. That money reflects the bloc’s extraordinary commitment to aiding the development of its newer and poorer members, measured by gross domestic product per capita. It is also important to those countries’ growth and the popularity of their governments. For instance, Hungary’s healthy growth rate of 3 percent a year would be as low as 1 percent without those regional support funds, known also as cohesion funds. Recipient countries argue that much of that money is spent on buying equipment and services from some net-contributor states, like Germany and France, and returns to them in the form of markets and profits. The Hungarian government spokesman, Zoltan Kovacs, has called the suggestion to tie political conditions to European Union funds “political blackmail.” He has pointed out that Hungary opened its markets to the bloc in 2004, when the economy was far from competitive. “Don’t try to suggest that the E.U. cohesion fund is a gift for central and eastern member states,” he said here last year. There are expected to be other contentious proposals, too. The distribution of regional support would be based not just on national income per capita but on other indicators like youth unemployment and migration burdens. That is a clear effort to help older members like Italy and Greece that have borne the brunt of refugee and migrant flows, and other southern countries like Spain and Portugal, where youth unemployment is high. Cohesion funds for newer member states could be cut by as much as 6 percent to make room for these other kinds of aid. Of course, the talk of cuts also comes in the context of Britain’s exit from the European Union, along with its hefty contributions. Some countries, like France, Germany, Poland and Hungary, have said that they would increase their future contributions to Brussels to help make up for Britain’s departure. Other countries, like the Netherlands, have said that they do not want to contribute more, but that the bloc’s budget should absorb the loss of Britain by shrinking and becoming more efficient. But the commission itself is expected to propose a larger budget than the current one, and aim for an overall amount of 1.13 to 1.18 percent of the bloc’s gross national income, compared with 1.03 percent when the current framework was approved. But the prevailing mood, led by the Commission vice president, Frans Timmermans, is that the challenge of Poland and Hungary cannot go unmet, and that other countries flirting with forms of “illiberal democracy,” like Slovakia and the Czech Republic, should see consequences. Mr. Romakkaniemi noted that Poland, Hungary and the Czech Republic were among the highest net recipients of European Union funds, while their governments indulge in euroskeptic politics. “My fear is that the populistic path leads to divergence from the E.U. core values of freedom and Rule of Law — until a breaking point,” he said.